This image of M71 was taken by Chris Newsome on the 19th July 2006. He used a Celestron C8-NGT telescope with a Canon EOS 300D camera, guided by a Meade DSI camera and Skywatcher 80T telescope using a GPUSB interface and controlled with MaximDL. 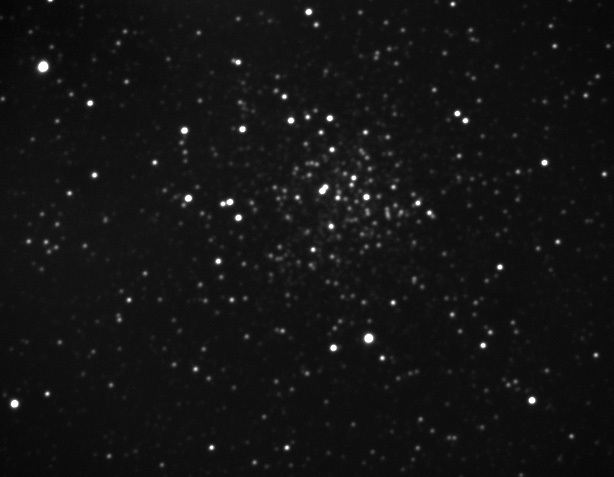 Six 3 minute exposures were taken at 200 ASA, and were calibrated and combined in MaximDL and processed in CS2. 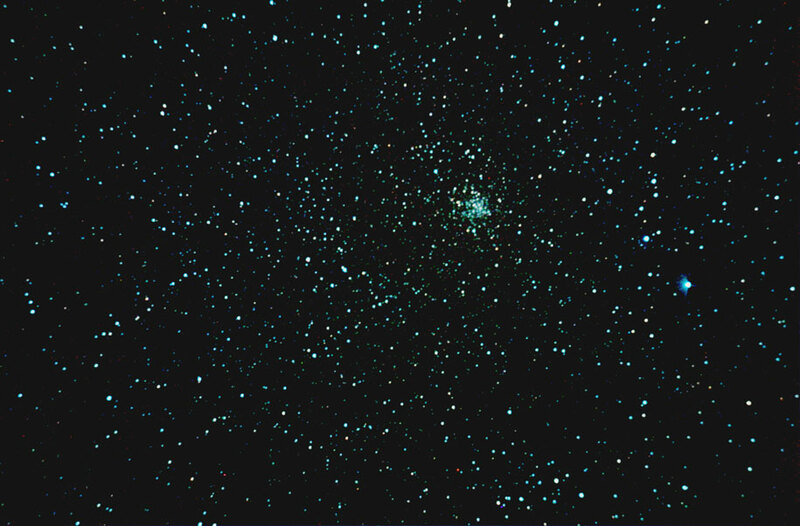 Adrian Brown took the following close-up image of the globular cluster M71 in the constellation of Sagitta on 28th May 2005. The image was taken with a C11 SCT at F6.3 and an ATK-2HS camera. K3CCDTools was used to capture and stack the twenty-five individual frames that were taken, each of 35 seconds exposure.